The AirTV 2 just went for sale and this week we had an opportunity to test it out. This is a very different experience from the Air TV 1 (that is still for sale). No longer is it an Android TV player. The AirTV 2 is a network tuner. Yes, you connect your antenna to the AirTV 2 and it will stream your local broadcast TV stations over the Internet to your Sling TV app on a long list of devices. AirTV solves the biggest problems associated with OTA antennas like wiring multiple rooms and finding the right spot to get the best possible TV signal. AirTV connects with your home Wi-Fi to stream local OTA channels to every internet-connected TV and device within range, so you can mount your antenna wherever it gets the best signal without running cables all over your home. Don’t have Sling TV? No problem, AirTV also works with the free AirTV app, so you have the freedom to watch your favorite local OTA channels in HD wherever you are. The AirTV 2 is a great addition for any Sling TV subscriber. Now you can easily stream your antenna just as you would with ESPN or CNN. It also answers one of the main concerns about Sling TV: the lack of locals. With the AirTV2 you can easily enjoy locals streaming inside Sling TV without the cost of paying for local TV stations. If you are a Sling TV subscriber who already uses an antenna and wants to access your locals no matter where you are around the world, then the AirTV 2 is the device for you.. Does the Air Tv have to be connected to your router via Ethernet? I understand that would be the idea way but kind of negates being able to have the antenna anywhere you want. Since where the antenna is and where the router is may be in different parts of the house. It has an option to connect to the network via WiFi if the router isn’t close. 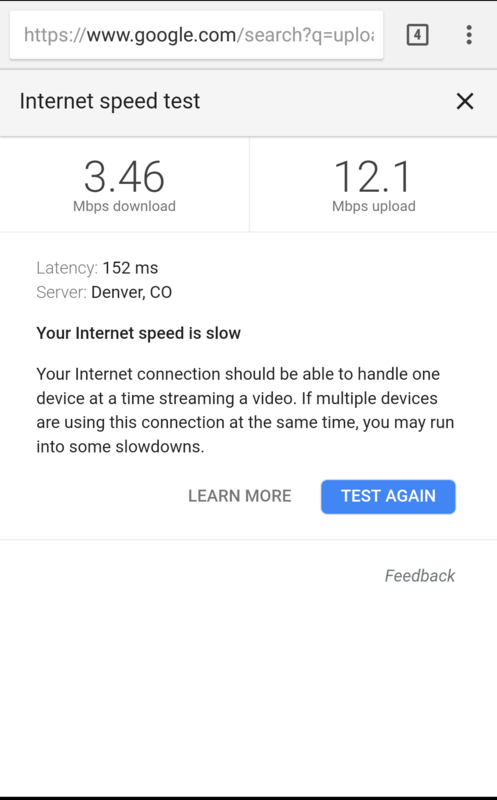 You’ll still need to be fairly close to the router / extender (no more than a few rooms away), as WiFi range drops off quickly and you’ll want to keep a steady data rate to prevent the picture from buffering too much. I like the idea of this, but I’m guessing it would stream though the internet if it was running though the Sling App and add additional data toward the data cap. Would that be true? It would help a couple of TV’s get the local channels in my house. It’s worth thinking about for me. That hadn’t occurred to me until just now. ClearstreamTV works on your network only saving data. The downside being it only works on on TV. Wondering if there are any devices that stream OTA over the local network to multiple Tvs via Roku app. Yes. A Tablo does just that (but it does not support 5.1 audio) An HDHomeRun does the same thing, but does not support Roku due to streaming in MPEG2. HDHomeRun devices support most other platforms and has 5.1 audio. As the AirTV2 is new, I don’t know about what audio it supports. It is limited to 2 channel/streams at once as it only has 2 TV tuners. Both HDHomeRun and Tablo have devices that support up to 4 tuners. Tablo at $220? No thanks. Don’t need DVR features anyway. You can set up a Plex or Emby server and than watch on Roku. Fred that just add more complexity. This is big advantage of cable. It just works. No complicated set up. Let me know when there is device that JUST WORKS. Will 1 airtv player give the other TV’s in the house locals?? Currently using Sling with Roku devices on 3 TV’s. Definitely would get if 1 box is all I need to get locals! Yes, because it is sending it through the internet to your account and when you login to the sling app it should appear on whatever device is using it. Though, it says it their setup guide it works on Roku then if their help section it says it doesn’t. The AirTV2 only has two TV tuners. So, it can only stream 2 channels at the same time. This is what Fred was referring to. This isn’t new technology, its just a Ota Slinbox. You will need good upload speed away from home. I’ve been streaming on my T-mobile phone over LTE using the Sling app and haven’t had too many issues. Ota? What’s your upload speed? Yep. Just tested it and I get 12 Mbps upload while on LTE. Does it have an app for AppleTV4? The website does not say anything about apps. Can i use it through the Sling TV app on Apple TV if i am not a sling customer? The specs does say iOS, but not specifically Apple TV. Not sure if it will run on the Apple TV. As for not being a Sling TV customer. It does say you can use the AirTV App. Which is separate from the Sling TV app. Can you use Slings DVR to record the ota broadcast channels from Airtv? Have they announced any plans for DVR for the AirTV2? I’m thinking about Tablo and HDHomerun, and would consider this if a DVR was available. I called today and they hope to be supporting a hard drive for DVR capabilities within 2 months. That is why they put the USB port on the device. I have yet to see the locals integrate with the Sling TV app on my Roku. I was able to get them to show up on my phone’s Sling TV app and on the AirTV app for Roku… but I haven’t been able to get it to work on my Roku boxes (Roku 3 and Roku Stick +). In the user manual, it says Roku’s Sling TV app works with it… but on the website, it doesn’t show Roku yet. Is this something that will be supported shortly? I called tech support, and Sling via Roku will not be supported until mid January. Right now, you have to set up under AirTV channel to view on Roku. I could only get it set up on 2g. Couldn’t get 5g to work. Yep, it worked fine on the AirTV app… it just doesn’t make sense for me to use that, as we usually use Sling. I have the Tablo in the meantime for locals. They are having issues with the Disney channels and the Android TV apps (including on the AirTV player), so we had to move to Roku to watch Sling without glitches on Disney Jr and Freeform. Someone stated that they broadcast in 720p, and that may be the problem… not having great success in getting them to figure out a fix, though. Such is life! What’s the purpose of the USB port? Harddrive for recording maybe? I called AirTV for info today. The USB port will be used to support a hard drive for DVR function. They are hoping to roll this out within 2 months. Also, they are working on the integration of Roku and SlingTV so that the guide on the SlingTV app will show the OTA channels. They hope to have this update within 2 months. Currently, you have to use the AirTV app on the Roku box in order to watch the OTA channels on all of your TVs. However, if you have a Fire Stick, the OTA channels will integrate into the guide on the SlingTV app. Just got my AirTV and I’m having a problem getting all of my channels to show up in the guide. I live between two large cities (Cleveland and Youngstown Ohio) and can receive good signal from most of the towers. When I do a channel scan on my phone it shows all the stations I expected to pick up (42 total) and can click on them to preview the video feed with no problem. After I click Watch TV only 31 stations are in the guide. All of the Youngstown stations are gone. Does anyone else have this issue? Going to contact Sling support and see what they say. Might be because my zip code is in a Cleveland area and they can only show those stations due to legal reasons. Seems ridiculous to me for them to block certain OTA channels though.